The Doberman Pinscher is considered to be one of the best guard dogs, but they also make great companions. Doberman puppies are born with their characteristic coat color and grow to stand between 24 and 28 inches. They are very easy to train and are very loyal to their family. 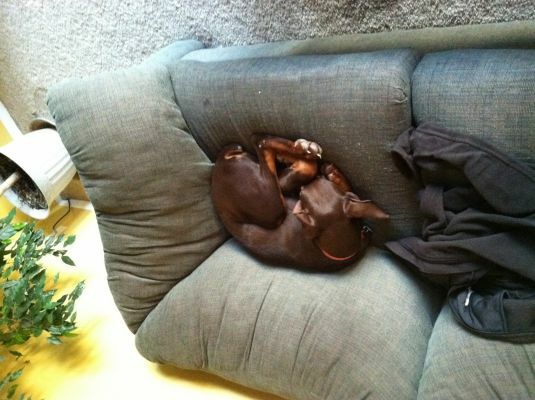 Doberman Pinscher puppies will greatly benefit from early socialization to minimize any chance of aggressive tendencies. Visit DogBreeds.net to learn more about Doberman Pinschers.